For these next few months Today’s Best Junior would like to recognize Kristin Lawless and Cruiser for their remarkable achievements in the show ring together. Kristin, a seventeen year old from Kentucky, has been in the show ring since she was six years old. Eleven years have passed and since then Kristin has participated in confirmation, obedience, rally, field work, tracking, herding and therapy work. Kristin’s first junior dog was Buddy the Shetland Sheepdog, but most people would recognize Kristin with her Nova Scotia Duck Tolling Retrievers. 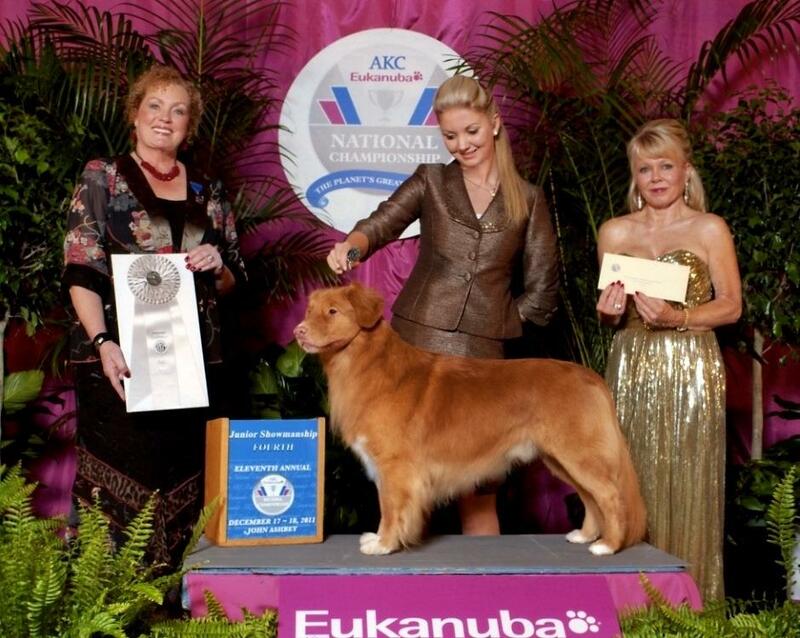 Kristin has finished the #1 Toller in 2009 and has had top ranked Tollers ever since. At the 2009 Toller National, Kristin took Winners Dog and Best of Winners and took First Award of Merit in 2010 with her current special (and junior companion) Cruiser. To this day, Kristin and Cruiser have won four groups and have multiple group placements. In the Junior ring, Kristin has been the number one Toller since 2008. She has qualified for both the Eukanuba and Westminister Kennel Club for the last three years. Kristin is the only Junior in the country to make finals at both the Eukanuba -where she took fourth place- and Westminster for 2011. Because of her achievements, Kristin was given two scholarships to further her education. Kristin also took Best Junior at the 2009, 2010 Toller National.